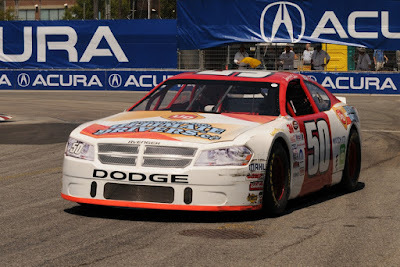 Pinty's Delicious Foods Inc has taken on the title sponsorship of the Canadian NASCAR stock car series and the cars will be return to the Honda Indy Toronto starting in 2016. The multi-year sponsorship deal with Pinty's increases their participation from individual race and car sponsorship to becoming the main sponsor beginning January 1, 2016. The Honda Indy street course roars around Exhibition Place from July 15-17, 2016 with the NASCAR Pinty's Series headlining the Saturday racing schedule. "Pinty's, founded in 1943, produces and provides a complete range of premium quality fresh and frozen chicken products to the retail and food service industry throughout Canada. Pinty's has been a contingency sponsor of the series since 2012. "NASCAR is a global entity and we couldn't be more excited to continue to grow this important series with the help of our new entitlement partner, Pinty's," said George Silbermann, Vice President, Regional and Touring Series, NASCAR. "The NASCAR Pinty's Series is the premier motorsports property in Canada, characterized by the unparalleled competition that defines NASCAR racing. "Recognizing the tremendous value of sponsorship and activation at the touring series level, Pinty's expanded its investment to become the entitlement sponsor and a NASCAR Official Partner." 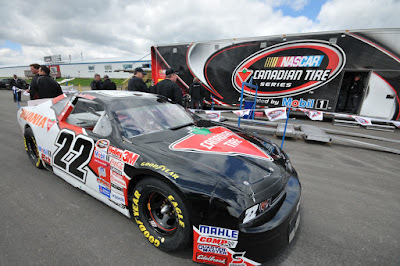 NASCAR Pinty's 2016 Series will launch on the Victoria Day Weekend at the Canadian Tire Motorsport Park on Sunday, May 22. Returning Champion Scott Steckly has won four Championships and will be a big contender in the upcoming season, although Andrew Ranger won both of the Honda Indy races in 2010 and 2011.